Yangon, December 2014: Chatrium Hotel Royal Lake Yangon was recently awarded ‘Asia’s Top Business Hotel’ in the Top of Asia 2014 Awards by NOW Travel Asia magazine. The hotel received the honor for its outstanding contribution towards the hospitality industry and excellent services. ‘Asia’s Top 5 Best Business Hotels’ were voted by readers and subscribers of NOW Travel Asia magazine in an online poll published on its website. “To be recognized as one of the leading Business Hotel in this year’s awards is a result of the thoughtful, understated service and authentic experiences we deliver to our guests every day.” said Savitri Ramyarupa, Managing Director of Chatrium Hotels & Residences. “We strive to deliver the best possible service to our guests as well as add some remarkable extras that make our guests return or recommend us to their friends. The selected top winners of Top of Asia 2014 Awards were announced and published in NOW Travel Asia magazine – November & December’s issue with listings which includes Asia’s top leisure hotels, business hotels, heritage hotels, beach hotels, pool villa hotels, spas, entertainment, Asian airlines, Asian budget airlines, people, Asian luxury brands, restaurants and bars. 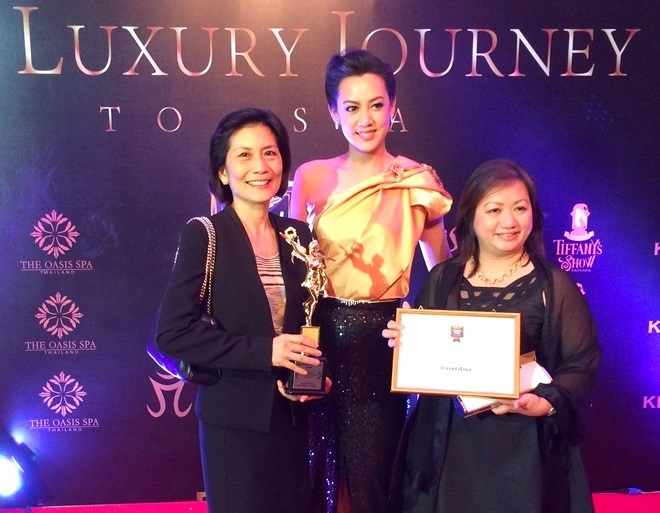 NOW Travel Asia Awards, a recognized annual program of the luxury travel and lavish lifestyle magazine, reward and celebrate service excellence across all sectors of the travel industry in the region of Asia-Pacific and the great Middle East. The NOW Travel Asia Awards Survey, firstly begun in 2012, is available through an assured website at www.nowtravelasia.com/vote with a record of 83,363 online readers participated featuring the most favorite destinations, luxury niche hotels, airlines, restaurants, and also the great inspired people in tourism business.